For classes, art shows, fairs, or demos. Spring-loaded joints snap together to full 63" tall (tabletop model also available). 3/8" steel tubing. Sets up in seconds. Folds to fit into a portfolio. Adjustable holders. 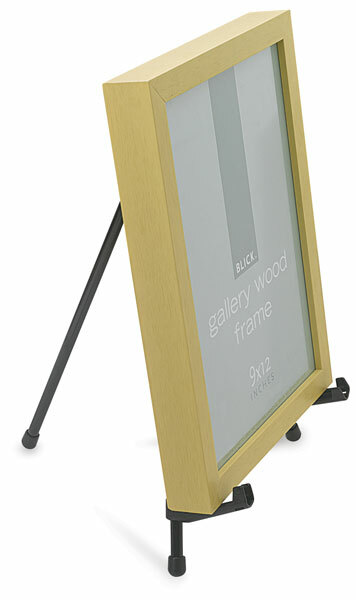 This convenient table top version of the Instant Easel is a snap to set up. It is lightweight, compact, and portable. Display holds up to 5 lb (2.26 kg).